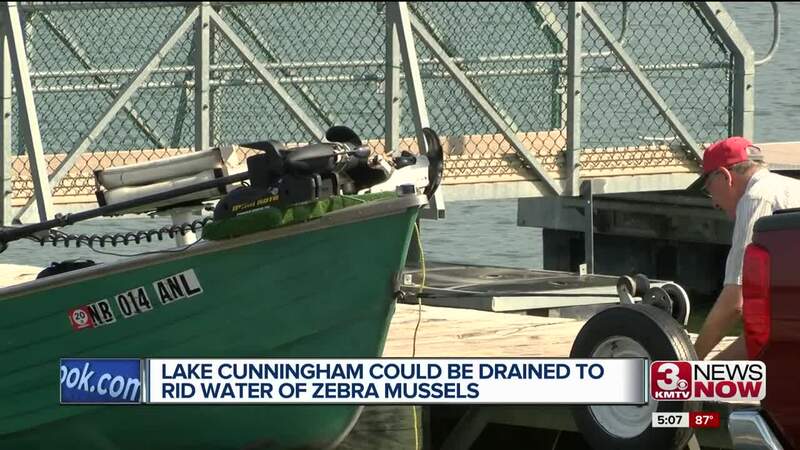 Cunningham Lake is closing to all watercraft on Friday due to an infestation of zebra mussels for the rest of the 2018 season. 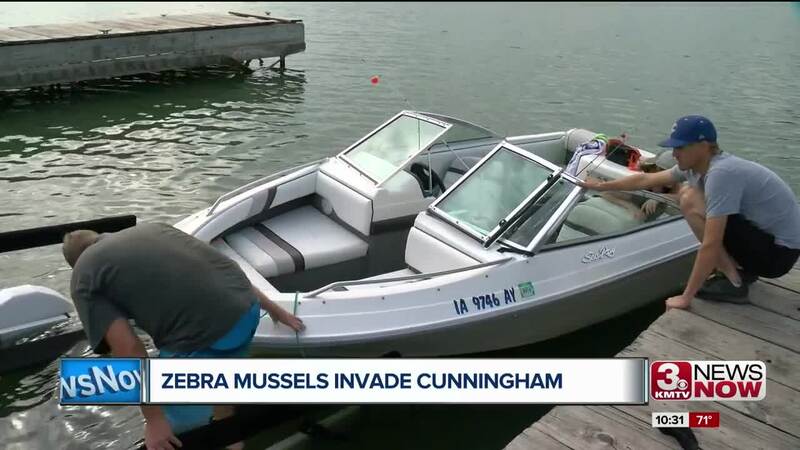 Two weeks ago, Nebraska Game and Parks confirmed the discovery of adult zebra mussels in the lake. The lake is closing to watercraft to keep the mussels from spreading to other bodies of water in the Omaha Metro. Boaters can help slow the spread of the mussels by cleaning, draining and drying boats after use. The invasive species took over Lake Zorinsky, forcing the city to drain it in 2010. They returned in 2016. More zebra mussels showed up at a lake at Offutt Air Force Base in 2014. Nebraska Game and Parks says it only takes one mistake for zebra mussels to get from one body of water to another. "you can educate 99 percent of them, but you if you have one guys that doesn't care or hasn't listened, it only takes one person," Nebraska Game & Parks official Jeff Jackson said. Diggins' boat probably doesn't have zebra mussels hanging on. They're more likely on other boats that sit in the water for longer periods of time. But, they can still latch on to kayaks and fishing lures, which is how they spread to other bodies of water. Omaha Parks and Rec says the boat ramps close Friday and no new boats will be allowed on the lake. Owners of the boats currently docked at Cunningham have until mid-September to pull them out of the water.